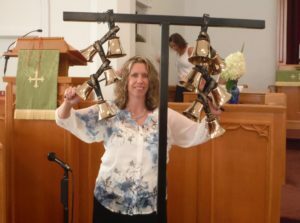 The bell choir was formed in 2006 when a 3 octave set of bells was given to our church. A group of novice players started learning to play them under the leadership of Phil Lewis. Many are still part of the group. 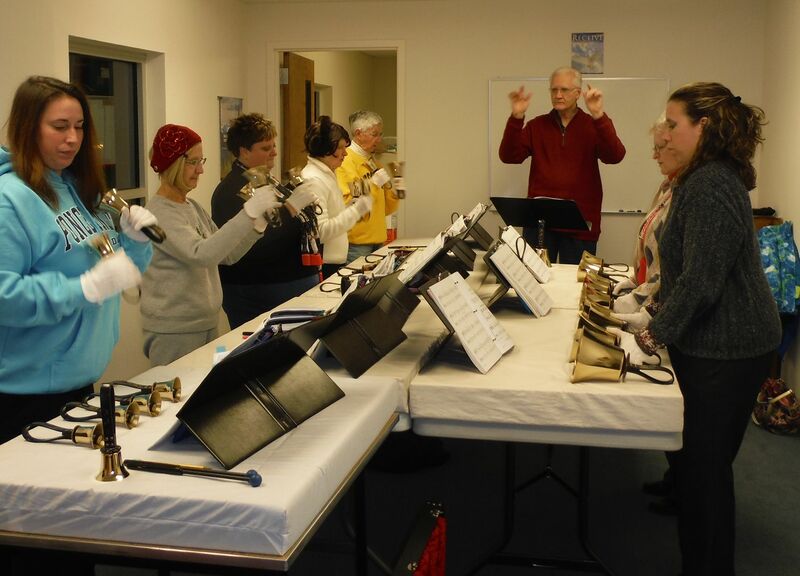 They meet on Wednesday evenings through the school year from 6:30-7:30 PM. They perform one Sunday a month, September through May. 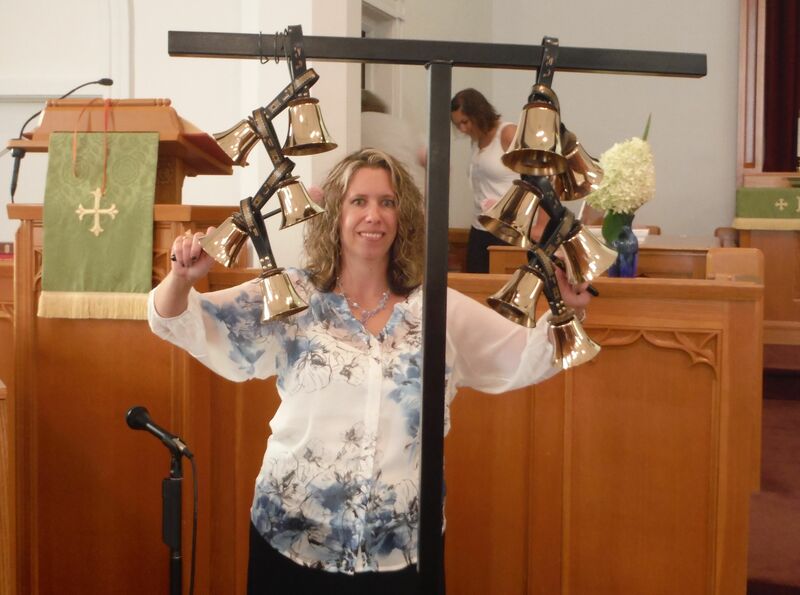 Bell choir practice… Becky Schneider played a solo using a bell tree.